The user posted a video on YouTube showing his "feat." The driver made a 12-kilometer section in three minutes and 26 seconds. 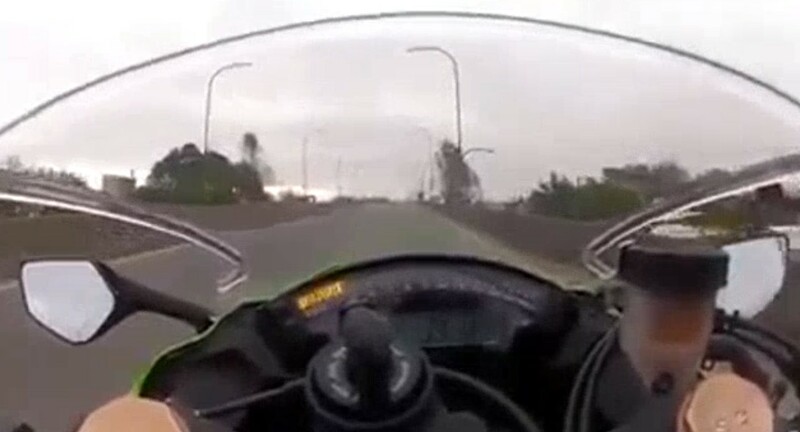 Men walking on a motorcycle was recorded at nearly 300 km / h on the Rosario-Córdoba highway and recording quickly became viral. The recording starts at the beginning of the motorway where it is observed as the wheel accelerates to the bottom and begins to dodge everyone on its path. Speed ​​meter reaches nearly 300 kilometers per hour in a section without obstacles in sight. Twelve kilometers at the entrance to the city Funes, the camera turns off with time of three minutes and 26 seconds, five times smaller than usual. The video was uploaded by a citizen of the Republic of Slovenia Funes in the channel Youtube However, this Monday after the recording became viral, the user decided to remove the post. Portal InfoFunes It was able to reproduce it before it was removed. The driver drives a motorcycle brand Kawasaki ZX10R. It starts recording with a speed gauge at a speed of 50 kilometers per hour and reaches 200 in a few seconds. The highest speed reaches the middle of the recording: almost 300 kilometers per hour with the abandoned motorway. In the middle, Zuggling and avoiding cars and trucks seem to be in a very reckless way, as overtaking is prohibited on any highway in the country. Go to the exit Funes in less than three minutes and a half. At the permitted speed, the section is covered between 15 and 18 minutes. On the section of the highway where the video was recorded, The maximum speed is 130 kilometers per hour, which means less than half the speed of the motorcycle during the video. The highest penalty for exceeding speed in the province is 30 thousand pesos.